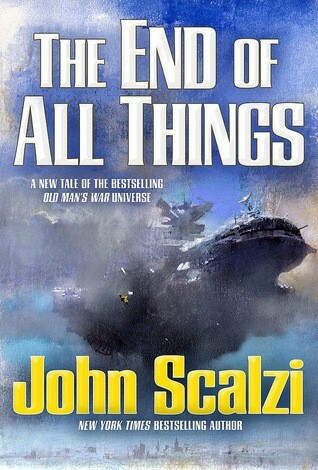 “The End of All Things” is the sixth book in the “Old Man’s War” series, by John Scalzi. It is a collection of four short stories which stars an ensemble cast including Harry Wilson. This book continues the same story arc from ‘The Human Division’. The conflicts between and in the Conclave, Colonial Union, Earth and the Equilibrium are the focus. The good news is that there is a resolution to this story arc which began with ‘The Lost Colony’ predominantly. As always, Scalzi experiments quite a bit and is mostly successful. My personal favorite is a new character who is the protagonist in the first story and plays a part in the other stories. Alas, the series continues its slide into genericness. I recommend ‘The End of All Things’ for scifi fans.